On 14th Pravasi Bharatiya Divas, PM Narendra Modi made a speech, asking Indians abroad to help move the country from a ‘Brain drain’ to a ‘Brain gain’. Our PM wanted to send a message to Indians abroad, that they should come back to India and contribute their help our nation grow. Sauvik Banerjjee is not only a technologist and a tech-evangelist, who not only believes that the reverse brain-drain is already happening, but he also believes that within the next few years, the mindset of Indians will slowly change from settling abroad to staying back and finding opportunities within their homeland. But there’s a lot more to Sauvik than just being a madly patriotic Indian. He is the very example of what can happen when an Indian tech-evangelist living abroad, decides to come back home and eventually disrupt the country. Sauvik is, in many ways, the prodigal tech-evangelist. In 1993-95, Sauvik entered the UK as part of the junior Indian program and then went on the play the Ranji trophy for Bengal for 3 years. He started his college at St. Xaviers, finished it, and then left for UK to play minor county club cricket. Migrating from cricket to technology he finished his masters, his research on NLP by 2001. During his time in the UK in his early years, Sauvik became an entrepreneur while also doing persuing his research. He ran a small startup on the side called PHYDOS, which was the UK’s first back catalogue online music e-commerce engine for non-billboard songs. He eventually sold that company to Music Stack. Sauvik was pursuing eCommerce music physical LP’s and CD’s while NAPSTER was evangelising free downloads. The challenge was higher but he eventually cracked it. After PHYDOS, he went on to create his second start called BANMIT, which was one of UK’s first RFID platform company which went into work with many conglomerates such as Tesco’s. Barcode scanning was being then evangelised by him. Sauvik began climbing the corporate ladder while also running a lot of other side projects such as helping local businesses come online by introducing them to e-commerce. Fast-forward a couple of years, and you’ll find that the man had implemented so many tech platforms (e-commerce sites, ERPs, CMSs etc..) that he’s earned a reputation in globally as being one of the top leading tech-evangelists for ecommerce. But then what was about to happen next, would take a turn in the man’s life. In 2014, Sauvik got recruited as the CTA of SAP, to overlook tech architectures for large conglomerates for digital transformation. And as luck would have it, SAP was coincidently asked by Reliance to implement their digital and commerce architecture which would eventually power Jio.com. Sauvik, being one of the top 3 experts in the field, was asked to lead the project. Back then, no one really knew what Jio was going to be, but Sauvik got a hint. He saw that it was going to be one the biggest disruptions India will ever see and he felt immediately, that this was something he needs to do. For the benefit of his country. And so with the UK life left behind, he accepted the project and moved his family to the SAP office in Mumbai in December 2014. So much that he and his wife then pregnant decided to have their second baby in India. It took a lot of personal sacrifice to make this happen which he looks back now and cherishes. … that forced Sauvik to come back to India. 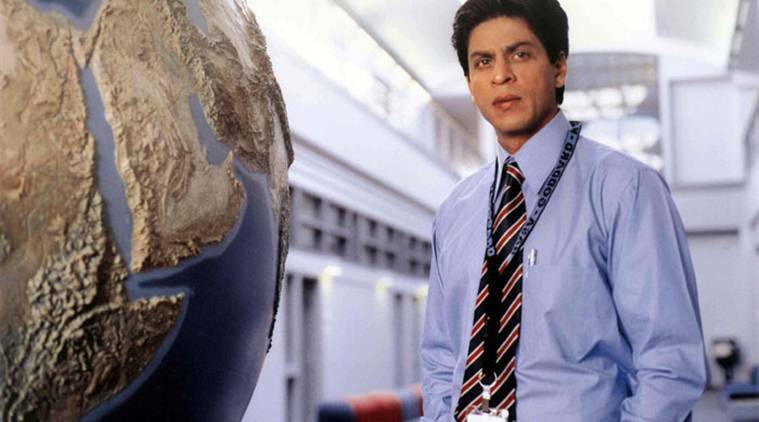 But it was actually because of a 2004 Indian movie called Swades, in which Shah Rukh Khan plays as a NASA project manager from the US, Mohan Bhargava. Mohan comes to a village called Charanpur where there’s no electricity and very little of anything. He slowly realises that the dynamics of the village and understands that he needs to build a dam and bring bulbs to the village. Eventually, he does that and when the first bulb gets lit in a hut belonging to an old woman, (which happens to be Charanpur’s own Khatri Vasave) everyone starts cheering and that moment of joy is so dramatic that it’ll literally make your heart skip a beat. But in particular, there’s one line that stuck with Sauvik in Swades. It was when the NASA boss understood Mohan and his desire to go to Charanpur and tells him, “Go ahead Mohan, Go light your bulb”. And so coming back to India, Mohan (Sauvik) began to grasp the magnanimity of what was to become Reliance Jio. Bringing 400-500 million Indians online to 4G internet speeds that were 2x faster than any other competitor; That became his new mission. How did the prodigal son actually disrupt India? Today we see where Reliance Jio is. Jio has crossed the world record of 100m users, within 135 days of it’s launch. It has one of the largest networks of cellular towers covering over 200,000 villages and 18,000 cities in India. But aside from Jio, Sauvik’s two and a half years in India ended up evangelising and architecting digital platforms all conglomerates like TataCliq, Shoppers Stop, Reliance’s AJIO and JIO. Com etc. each capable of handling traffic at ludacris scales. Sauvik is now the Vice President of Tata Industries (Digital Initiatives), an advisory to Group Co’s and the CTO of TataCLiQ. He is on the board of advisors of over 20 different Indian and global startups, guiding them as a hands-on mentor. FoodAbhi.com, Roambee, TravelTrex, Mihup, Xelmpoc, Incube, Nodd, Big Indian, NeoNiche, Hashtag Loyalty and is a chief mentor for ThinQbate. He is now the digital evangelist for the Indian CII community and is the innovation torch bearer for disruption. Why does India need more such prodigal evangelists? Sauvik’s contribution towards his country has been immense and he has helped not just himself grow, but has also helped other entrepreneurs, startups and conglomerates grow with him. Sauvik’s life has been a long journey and while most of it has been spent in the UK, the disruptive parts of it have been in India. Today the Indian diaspora is 20 million strong. If more NRIs/POIs decide to come back to our country and give back what they’ve learnt, then we might see more prodigal evangelists like Sauvik Banerjjee, in the future.